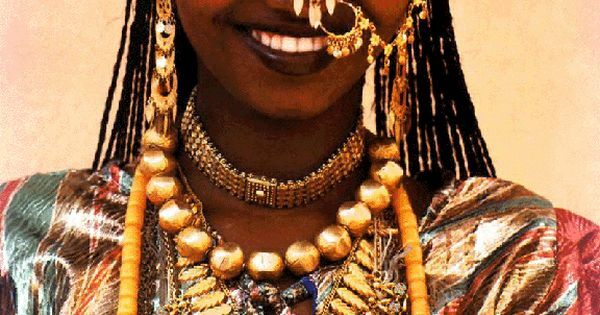 Africa | Afar Bride. Djibouti | They primarily live in the Afar Region of Ethiopia and in northern Djibouti, although some also inhabit the southern point of Eritrea. | Although no photographer details were provided at the source, I am convinced that this is a scan of one of the fantastic photos by Angela Fischer and Carol Beckwith.